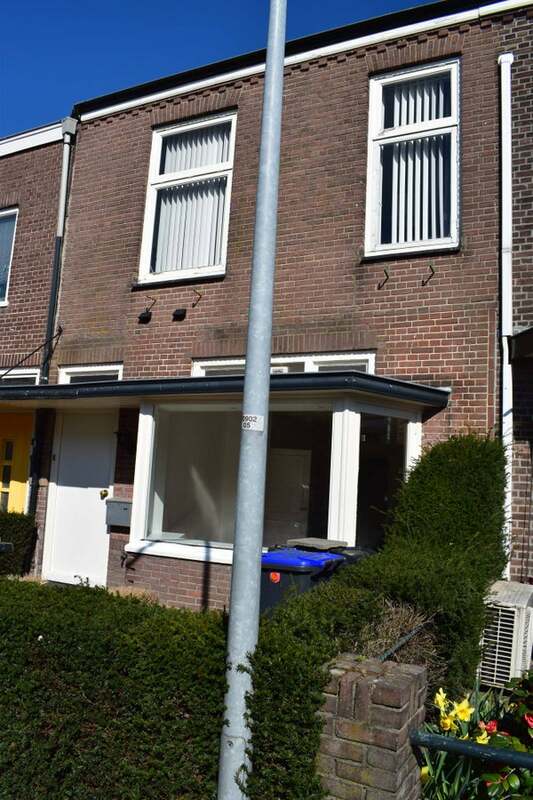 In a quiet street, within walking distance of the center of Hilversum and the Central Station, a spacious nostalgic mid-sized house (built around 1893, block of 3 houses), with front garden and patio garden on the east, attached stone shed and back. The property is well maintained and has central heating. In addition, the house at the rear has been expanded, creating an additional bedroom / office on the ground floor. Partly due to the ceiling height, this property is therefore larger than the outside suggests. Entrance, hall with wardrobe, spacious living / dining room with bay window, fireplace and storage cupboard under the stairs with cupboard, extended neat kitchen with door to the garden and kitchen with hob, extractor, fridge, dishwasher and combi microwave, walk-through to spacious bathroom with bath, sink and toilet. Between the bathroom and the living room there is also a light bedroom / office with a roof dome. Spacious landing with at the rear door to the roof of the extension, 2nd toilet with hand basin, storage cupboard with connection for washing machine and dryer, spacious bedroom across the full width at the front (previously 2 rooms) with sliding wall and air conditioning unit, 2nd bedroom on the back side.